LG Multi F MAX with LGRED features industry-leading heating capabilities with continuous operation down to -13 F and 100 percent of rated heating capacity down to 5 F. With zone control for up to eight indoor units, the Multi F MAX with LGRED is capable of keeping an entire home or small business warm during the winter months without the need for supplemental heat. Not only does the Multi F MAX with LGRED deliver superior heat when traditional models are unable, it does so without sacrificing energy efficiency. Operating up to an impressive 21 SEER performance and LG Multi F Max with LGRED is ENERGY STAR® rated in many system configurations. 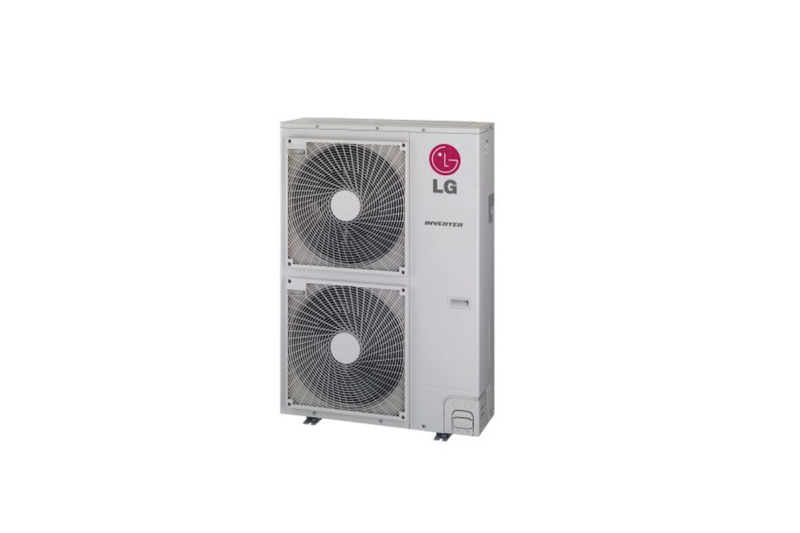 The LG Multi F MAX with LGRED is compatible with all LG Multi F residential and light commercial ducted and duct-free units including the newly launched LG vertical air handler (18/24/36K) allowing for maximum design flexibility. The Multi F MAX with LGRED technology uses long refrigerant piping – instead of air ducts, to reach each indoor unit. This results in smaller space requirements and greater energy efficiency allowing for more livable square footage in every design and flexible installation. In many cases traditional HVAC systems are unable to perform in cold, winter conditions without a supplemental heat source to keep customers comfortable. Now with the Multi F MAX, contractors are able to offer a single and complete heating solution with continuous operation down to -13 F. Not only does the Multi F MAX with LGRED deliver superior heat when traditional models are unable, it does so without sacrificing energy efficiency. With an ENERGY STAR® rating in many system configurations, the Multi F MAX qualifies for a number of regional and local rebates allowing contractors to more easily sell the system by passing those savings along to their customers. In addition to the superior heating performance and energy efficiency, the Multi F MAX offers unparalleled design flexibility. With both ducted and duct-free indoor unit options available, contractors and builders have the freedom to create the solution that is best suited for their customers’ needs and the space. In using refrigerant piping rather than ductwork, builders and contractors are afforded the flexibility to install the system around architectural features, which not only maintains the integrity of the building but also maximizes the design space. For homeowners, the Multi F MAX offers excellent benefits including continuous comfort, reduced cost of ownership and stylish indoor unit options. Unlike many conventional systems, Multi F MAX with LGRED offers guaranteed, continuous comfort –in some of the coldest winter conditions. Supporting up to eight indoor zones, the Multi F MAX is capable of heating an entire home with a single system and allows for precise temperature control in each zone. Homeowners also benefit from the efficiency of the Multi F MAX. From the many regional and local rebates offsetting the initial cost of the system to the ENERGY STAR® rated operation, homeowners benefit from a reduced cost of ownership throughout the lifetime of the system due to the Multi F MAX’s impressive efficiency. The Multi F MAX is compatible with both ducted and duct-free indoor units including the entire lineup of LG Art Cool indoor units. Homeowners now have the option to get the look that perfectly suits their tastes and blends seamlessly into their décor with award-winning styles such as the customizable Art Cool Gallery, the sleek Art Cool Mirror and the classic Art Cool Premier.